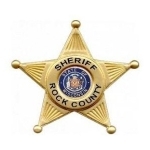 The Rock County medical examiner has identified a man who was fatally shot in Beloit. Twenty-eight-year-old James Tomten, of Janesville, died at the scene of the shooting on Saturday afternoon. Beloit police say Tomten and his assailant apparently were acquainted. They do not believe there’s an ongoing threat to the public. No one is in custody for the homicide.